The designs on these occlusion eye patches were created especially to appeal to girls. Every box contains five different designs with a glitter effect! 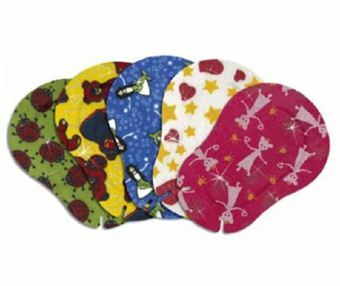 With light-excluding pad, cotton layer, ergonomic shape, nasal slits and very skin-friendly hot-melt adhesive. 50 patches per box.